First things first – think about what to do before the show! At smaller craft shows, it’s definitely worth getting in touch with the organisers before the fair and asking if there’s anyone else there selling what you sell. Although this might be likely at bigger events, if you’re at a small, village-hall type event with not many sellers, but there are several there selling the same product, your sales are going to be diluted. With fewer people selling what you sell, your chances of a sale are going to be higher! At shows, your craft stand should reflect the effort you put into making your products. It’s your opportunity to represent your brand and to be creative and colourful. It should attract people’s’ attention and draw them to you, so consider all aspects like lighting, the message of your brand and the colour scheme. Don’t keep all your products laid flat on the table – make sure you’re displaying some at eye level to be as eye-catching as possible. Although you need to bear the above point in mind, it can also be easy to end up with a stand that appears cluttered and disorganised. It needs to be eye-catching, but shouldn’t distract from the main feature, which is, of course, your products. Make sure everything adds value to what your selling, and doesn’t take away from it. So while you need to make a stand that’s eye-catching, make sure it’s neat and focused – it shouldn’t overwhelm shoppers. A common mistake at craft shows is only selling items at a high price point. 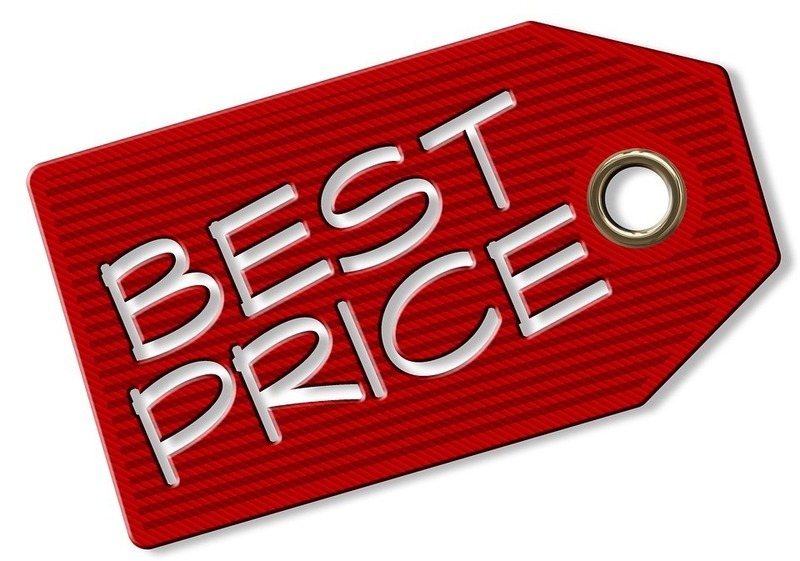 Of course, you need to price your creations fairly, but if you only have items at the higher end of the scale, this could alienate shoppers who love your items and your brand, but aren’t ready to part with that much cash. Consider introducing items at low or medium price points so that those who can’t afford your top of the range products can still be introduced to your brand. This way, they have something to remember you by, and maybe they’ll buy your ‘showstopper’ item from you in future at the next show -or online – when they’re ready! You need to make sure you stay fresh in shopper’s minds, even if they don’t buy from you, so having business cards is a must. Keep them readily accessible on your stand, and give one to all paying customers too. Often at craft shows, people will see your item but not necessarily want to buy it at that moment. Without business cards, it’ll be hard for them to remember you are. So make it easier to stay in their mind once the event is over! If craft fairs are a regular occurrence for you, it’s definitely worth investing in a card payment solution. With fewer people using cash these days, having a card payment option could mean you’re less likely to lose out on a sale. Also bear in mind that if you’re at a smaller fair, there’s less of a chance that other sellers will take cards. If you’re the only one that does, you could make yourself even more appealing! 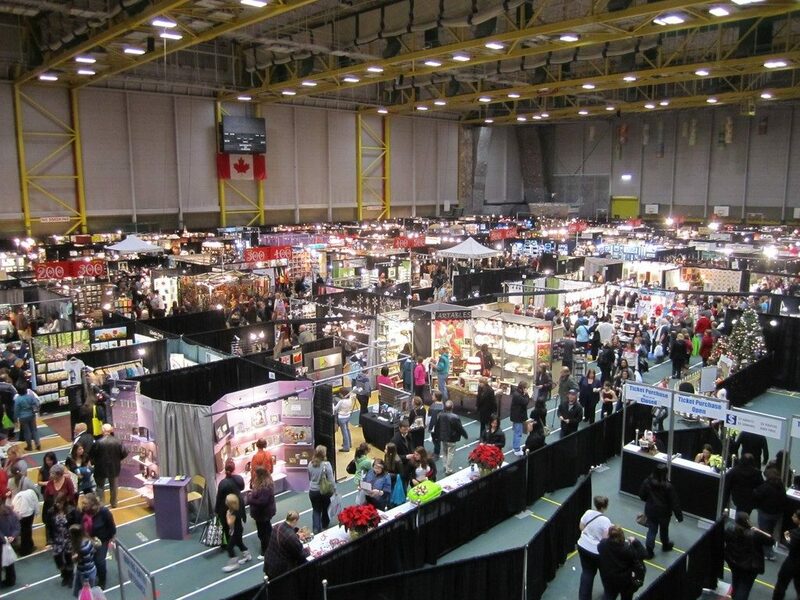 Not everyone is a natural salesperson, but you need to make the effort to talk to people when selling at craft fairs. When people walk by, make eye contact, smile and try to start a conversation. Craft shows can definitely be intimidating, but part of the appeal of them for buyers is meeting the maker and understanding the process behind the items. So remain approachable, welcoming, and don’t just talk with your helper for the whole day! It’s not just your helper you shouldn’t talk to the whole day – don’t get sucked into talking to the seller on a neighbouring stand when things are going slowly. This can be all too easy to do. Particularly when things are going slowly for both of you, it’s easy to start talking with each other – probably complaining about how slowly it’s going! But even if not many people are walking past, some people are, and any one of them could be your next sale. Not only that, but by being engaging and welcoming, shoppers are more likely to tell friends about you – which isn’t likely if you’re stood talking to your neighbour, leaving a shopper on your stand with no one to ask questions to! These are just a few of our top mistakes to avoid when selling at craft fairs – we’d love to hear if you have any more! If you found this useful, why not check out our other blog, on mistakes to avoid when selling crafts online?